Wow. That’s the only thing that came to mind when I got my mail today. Wow. Today I received my Stop & Go Tubeless Puncture Pilot Kit and I will say that just holding the rugged zippered case in my hand I could feel it was something of value. You know that feeling; when you put your hands on something it just feels “right.” Kind of like putting your head in a high quality helmet – you can feel the difference. Not cheap, not throw-away but something you can count on and that will stand the test of time. Not only is this something to carry with you in the event you have a flat, but just think of the help you can give to someone who might be caught in the same predicament. To help yourself or a fellow biker get back on the road by your own means is something that can make us all feel good. As I opened the case I see my assumptions were correct. This kit is really nice. For those of us who travel by motorcycle, or in many cases ride far enough away from the conveniences of a repair shop to count on for their immediate help, this puncture repair kit is invaluable. The quality of the tools and the thought put into what you will actually need in the event of a flat tire amazes me. Not only is this something to carry with you in the event you have a flat, but just think of the help you can give to someone who might be caught in the same predicament. To help yourself or a fellow biker get back on the road by your own means is something that can make us all feel good. Bill and his team at Stop & Go International have it figured out. They understand we bikers are a special bunch and we expect a lot from our gear and equipment. If you can provide a solution to a problem (a problem we only hope we will never experience) and do it with great customer service and providing a quality product, the rest will speak for itself. 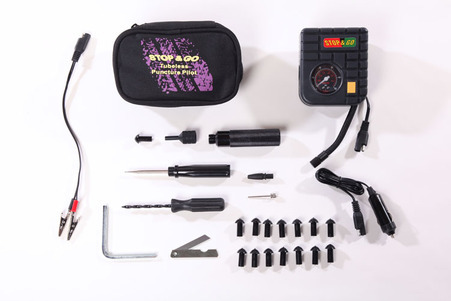 I encourage everyone who rides to look into the Stop & Go Tubeless Puncture Pilot Kit. I like to compare this kit with all the gear we bikers wear when we ride. We wear our gear for what “might” happen with the hope it never happens. If you’re like me, you ride to forget about everything and breakdowns are the furthest thing on my mind. We don’t focus on it and we often assume we will deal with it, if or when it happens. Be prepared for what might happen, and who knows, you might just be a hero to someone down the road that needs the help. Check them out on Twitter and Facebook! 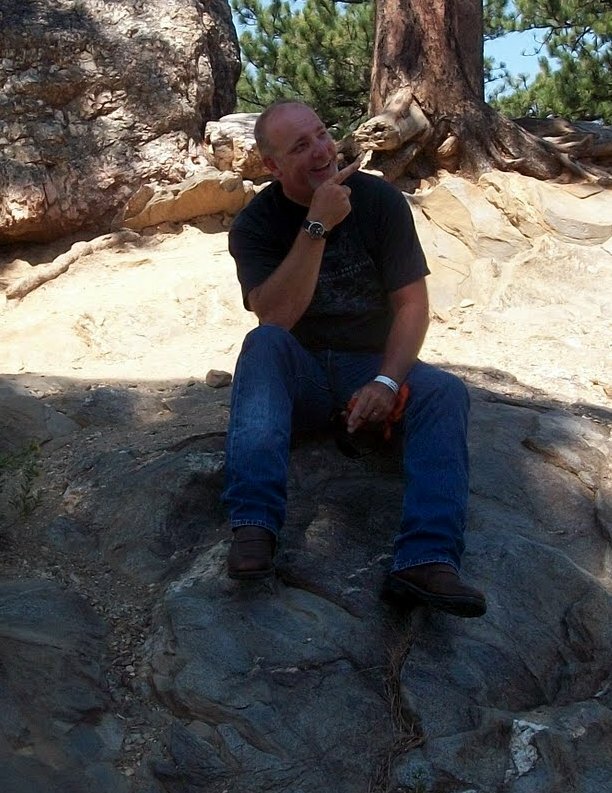 Bill, thank you for all you do!